After tweeting last week to say I was making dough for homemade grilled pizza, I'm here to say it was a success! Relatively, that is. For me, meals seem to take a lot longer than the recipe says, but boy was it worth the wait! These pizzas had flavor like nothing else. I think the basil olive oil and grilling gave it a unique zing. And while the toppings in the book looked yummy, I used what I already had: olives, pineapple, bacon bits, tomatoes, and spinach. The cheeses were random and varied pizza to pizza--mozzarella, cheddar, parmesan, and fetta--but I think that added to the fun! 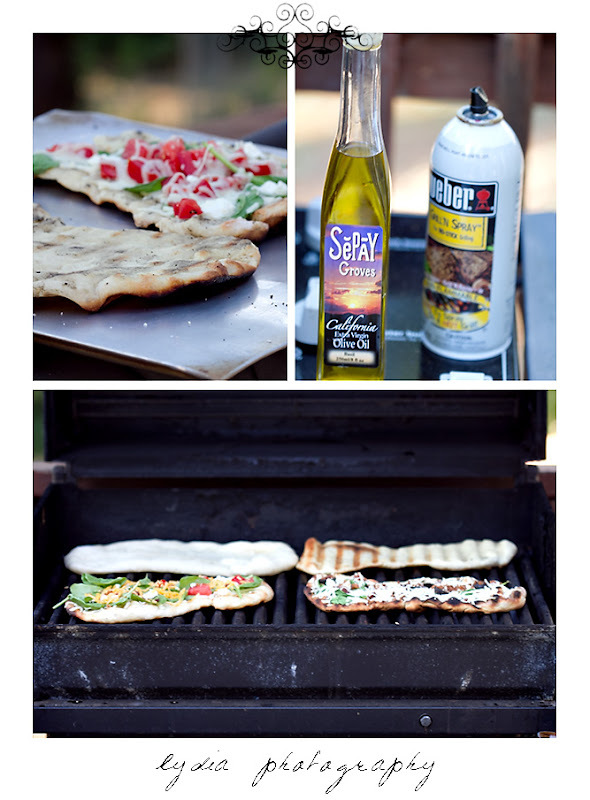 This is the pizza dough recipe I used and here are the grilling directions. If you try it, let me know how it turns out! that made me so hungry!